The distance from the chin to the top of the head must be between 31mm-36 mm or 70-80%. The photos must be identical and taken within the last six months. The distance from the bottom of the photo to the eye line must be between 20-30mm. 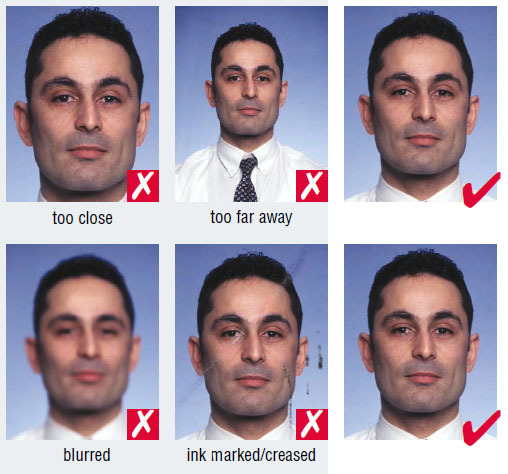 With good focus, clearly showing the eyes and face with both parties (and face). 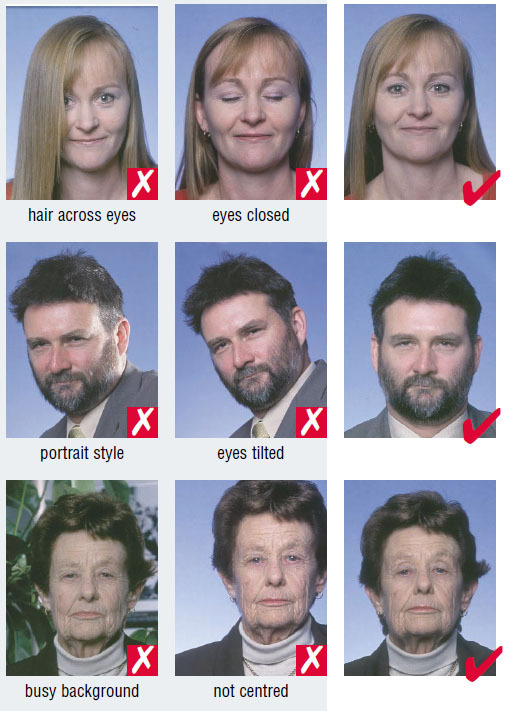 The photograph is to present a person without headgear. 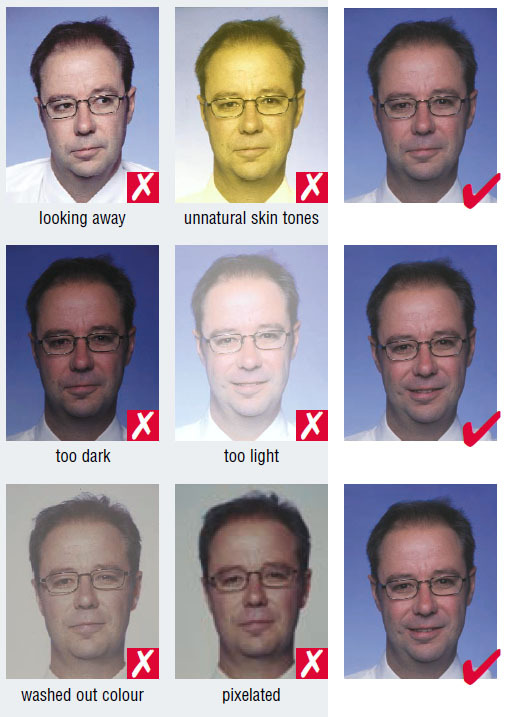 Not wearing eyeglasses with dark glasses. Looking forward with open eyes. With the natural expression of the face and mouth closed. 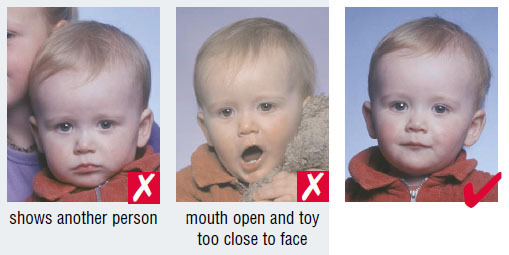 The photos must be clear, well defined and taken against a plain white or light-coloured background. If the photos are digital, they must not be altered in any way. 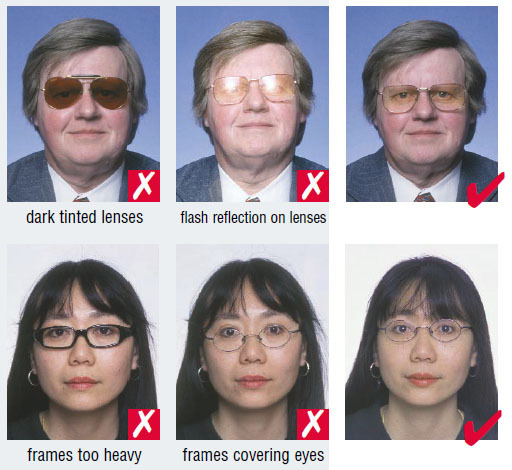 You may wear non-tinted or tinted prescription glasses as long as your eyes are clearly visible. Make sure that the frame does not cover any part of your eyes. 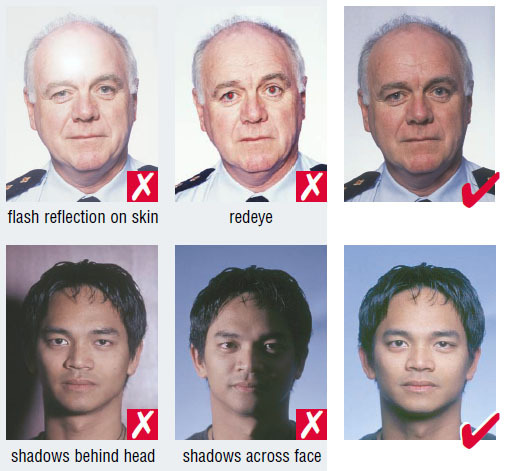 Sunglasses are not acceptable. A hairpiece or other cosmetic accessory is acceptable if it does not disguise your normal appearance. 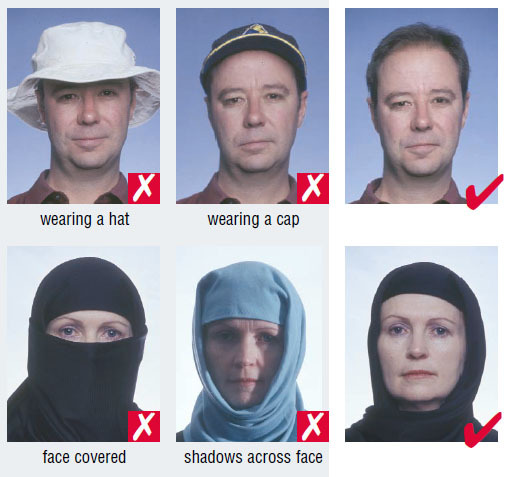 If you must wear a head covering for religious reasons, make sure your full facial features are not obscured. The photos must show the full front view of the head, with the face in the middle of the photo, and include the top of the shoulders.